First, a quick note about last week's Feminist Flashback. While I though I had scheduled a post to go up during my travels, I accidentally left it saved as a draft instead. Silly mistake. So, the March 22 Feminist Flashback is now up (and backdated). Secondly, I apologize (again!) for my absence this last week. Traveling has proved more detrimental to my writing than I expected. Suffice it to say, I'll be home soon and back to posting again regularly. I miss the blogging world! 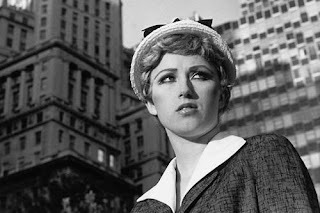 Thirdly, for this week's Flashback and without further ado, I present the photographs of artist Cindy Sherman. 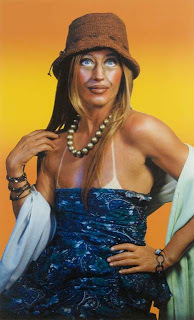 Since the late 1970s, Sherman's self-portraits have eloquently confronted the male gaze and explored the relationship between women and narrative. 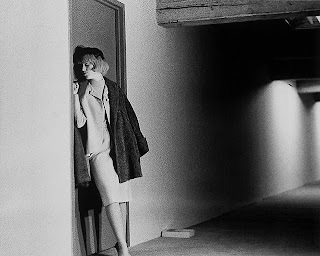 Her "Untitled Film Stills" series, in particular, asks viewers to consider the implications of the story in which each pictured character (all Sherman) finds herself. 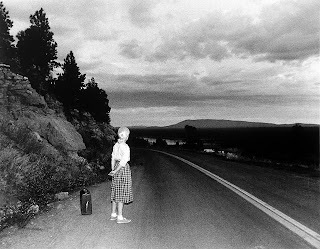 Some of her later work addresses iconic female characters and the mutability of women's roles (and her own performance of them).